Next year, Belarusians will vote in the fourth presidential election in their history as an independent nation. Belarus has been led by President Alyaksandr Lukashenka since 1994. 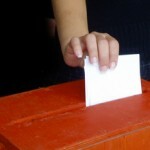 This blogpost provides a brief overview of the President’s three electoral victories and may be helpful for anticipating the results of the upcoming 2011 elections. So far, two oppositional candidates have announced running for the Belarusian presidency. Alyaksandr Milinkevich, the leader of the Movement for Freedom, wil run the second time. Ales Mikhalevich, the former Deputy Chairman of the Belarusian Popular Front, said that he would participate, too. Mikhalevich was expelled from the Belarusian Popular Front for criticizing the party’s leadership. He plans to campaign for the maintenance of Belarusian identity and culture, teaming up with Western-educated Belarusian professionals. There is a high probability that a third oppositional candidate will stand in the elections representing the United Democratic Forces (UDF). Even under the most democratic conditions, that considerably reduces the chances of any of them reaching a second round. All political activity in the country is currently oriented toward April 25 local elections. All and sundry parties and movements are busy registering their representatives for participation in the electoral councils. The latest poll findings by the Independent Institute for Social Economic and Political Research indicate that 42.5 % would vote for Lukashenka, 4.3 % for Milinkevich, and 2.4% for Alyaksandr Kazulin, opposition candidate in 2006 elections. The Central Election Commission approved incumbent Alyaksandr Lukashenka, Alyaksandr Milinkevich (United Democratic Forces), Sergei Gaidukevich (Liberal Democratic Party of Belarus), Alyaksandr Kazulin (Belarusian Social Democratic Party) to run in 2006 election. Lukashenka was eligible to run again because of 2004 constitutional amendment abolishing presidential term limits. The amendment was supported by 77 to 48 % of voters, depending on the organization counting the votes. Before the elections, candidate Kazulin was arrested, beat up, and held in custody for eight hours. Many opposition activists were arrested as well. Milinkevich called the election the opposition’s “last chance” and “last battle,” and in a miraculous fit of political activism, 92.6% of Belarusians voted in 2006, according to the Central Election Commission. Lukashenka won by a landslide, getting 82.6% of the vote. 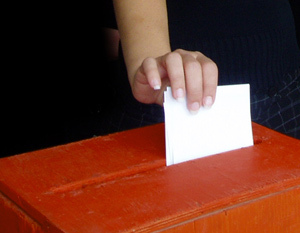 The Organization for Security and Co-operation in Europe (OSCE) declared that the election “failed to meet OSCE commitments for democratic elections” and that Lukashenka “permitted State authority to be used in a manner which did not allow citizens to freely and fairly express their will at the ballot box, and a pattern of intimidation and the suppression of independent voices was evident.” The United States did not “accept the results of the election” and “support[ed] the call for a new election.” However, the Commonwealth of Independent States (CIS) said the vote was open and transparent. Lukashenka’s original five-year term ran out in 1999. However, 1996 referendum extended presidential term to seven years. In 2001 Lukashenka ran against two candidates: Vladimir Goncharik, the chairman of the Belarusian Federation of Trade Unions, and a member of the parliament disbanded in 1996, and Sergei Gaidukevich, dubbed Belarusian Zhirinovsky in some Western media and representing the Liberal Democratic Party of Belarus. On the Election Day, international websites covering elections had their IP addresses blocked and Belarusians could not access such websites as ‘svaboda.org’, ‘charter97.org’, ‘racyja.pl’, ‘goncharik.org’, and ‘vybor.org’, which covered Belarusian presidential elections. The media that were not hindered, accused the United States of launching a campaign to subvert the election and topple Lukashenka, following the blueprint use to overthrow Yugoslavia’s Slobodan Milosevic. The OSCE international election observation mission reported that the Belarusian elections “failed to meet the OSCE commitments for democratic elections” and could not be internationally recognized. However, Lukashenka called his re-election ”elegant and beautiful” in his victory speech. Russian observers also decreed Lukashenka’s victory fair and democratic, applauding what they dubbed a convincing win. “Belarusian Opposition Prepares for Local and Presidential Elections” by David Marples. Newsline of Belarus’ local elections from the special project by BelaPAN. Q&A about Belarusian elections from 2008 in BBCNews. As presidential elections are getting closer, Belarus authorities have stepped up their efforts to silence media not under their control. Over the last few days, the Council of Ministers imposed additional restrictions on accreditation of foreign media, the President of Belarus adopted a decree imposing new limitations on internet providers and earlier today police raided the informal office of Warsaw-based Belsat television channel. The office is informal because the authorities refuse to give Belsat accreditation. Control over media is crucial for any authoritarian regime’s survival. Belarus authorities have effectively shut down all meaningful alternative media within the country years ago. Although a few independent newspapers are still allowed to circulate in the country, they do not have any real impact on public opinion. Heavily subsidized state-controlled television, radio and printed periodicals completely dominate the media market of Belarus. On the first day of February, after months of speculations, Belarus President signed a decree aimed at restricting activities of internet providers in Belarus. The decree makes it easier for Belarus special services to access information transmitted via Internet. The decree also requires internet providers to store the data of individual internet users, which could be later retrieved by Belarus authorities. The Council of Ministers of Belarus has also restricted distribution of foreign media in Belarus. Among other things, the government has forbidden to distribute any “foreign products” which contain information “the distribution of which is forbidden or access to which is limited in accordance with legislative acts of the Republic of Belarus”. This effectively means that any state organ may outlaw foreign periodicals without even having to give any explanations. Both the decree and the Council of Ministers’ regulations will be subject of future interpretations by the courts and other state bodies. It is unclear how zealous they will be in enforcing these new rules. What is clear is that the Belarus authorities are trying to restrict access to foreign media, because they see it as a real threat to their political monopoly. Another brick in the information wall they are building is an attempted raid of Belsat office in Minsk. Belsat is an independent satellite channel headquartered in Poland. It is the only Belarusian-language TV broadcaster not under the government control. The number of people who can actually watch Belsat it is relatively small because of the expense of installing a satellite dish. However, it the broadcaster gaining more popularity and is perhaps the most influential independent electronic media in Belarus. Last month, a large number of international organizations and NGOs protested against a warning, which the Ministry of Justice issued to the Belarusian Association of Journalists (BAJ). This warning may potentially lead to closure of this organization. The Parliamentary Assembly of the Council of Europe has even devoted a special paragraph in its recent resolution condemning pressure on the BAJ. But instead of listening, the Belarusin authorities put even more pressure on independent media. There is nothing new for the Belarusian authorities in resolutions full of condemnations or even in economic sanctions, which make Belarus even more dependent on Russia. What Europe and the United States have not yet tried, is to take the issue of supporting foreign-based media seriously. This includes increasing FM- and TV broadcasting from the neighboring countries, so that Belarus population has access to uncensored information.